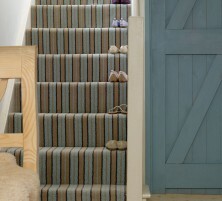 Trends come and go, yet striped stair carpet has definitely come, but not gone yet! It is staying around for much longer than other trends have. 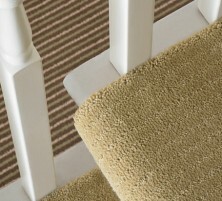 So what makes striped stair carpet a good choice? Well to start with, it looks amazing! The aesthetics of a stripe running up the stairs looks really fabulous! 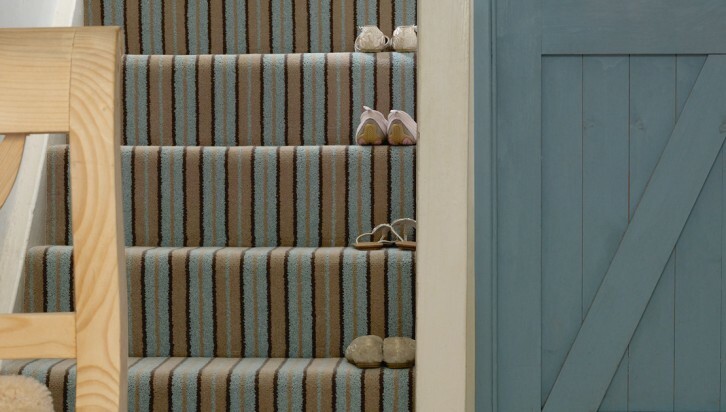 If you have a darker hallway or landing, then having striped stair carpet will give it a lift, brightening the space you are working with. 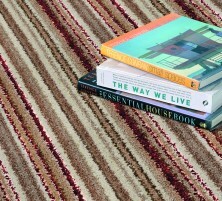 Striped carpet will definitely hide the odd bit of dust or dirt that hasn’t been cleaned up, wherever it is fitted in your home! 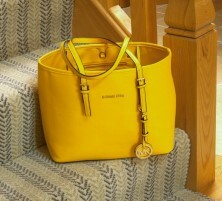 It is also ideal in hard wearing areas where there is a lot of heavy footfall. It looks fantastic in modern properties but also adds a real class to period properties. 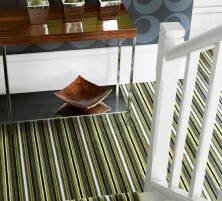 Striped stair carpet also looks fantastic if you have an open staircase as you can see the full effect of the styling. 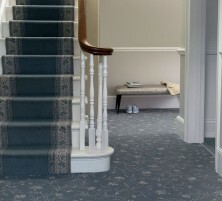 Staircases can be forgotten and look a bit boring, so having an unusual stair carpet can give it a lift and make it into a real home feature. There are loads of options out there to choose from as it is currently so popular. 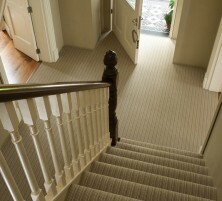 Almost all of the brands we work with have striped stair carpet, so whatever colour or style you are looking for, we can find it. It is also a lovely one for our carpet fitters to fit as it just looks wonderful as a finished product and is great for photographs! 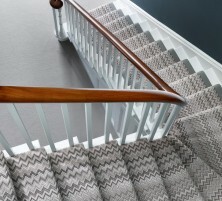 Give us a call on 0800 0388 010 if you want to speak to one of our many experts for striped stair carpet or any other flooring. We love all the choices you can have and our enthusiasm shows in the way we are so proud of our products. These are just a few of the carpets we sell. There are so many more to choose from.